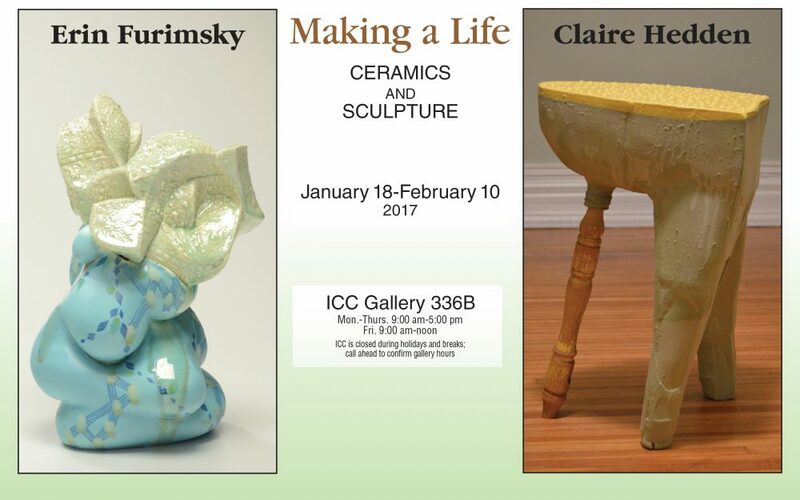 PLEASE NOTE: The talk by artists Erin Furimsky and Claire Hedden scheduled for Wednesday, January 18 in Gallery 336B has been cancelled; we apologize for any inconvenience. However, the exhibit by the artists, as well as the printmaking exhibit in the ICC Performing Arts Center Gallery by Florin Hategan, both open January 18 as scheduled. Please click here for more information on this exhibit as well as the exhibit also opening January 18 by Florin Hategin in the ICC Performing Arts Center Gallery.